I spotted a free Kindle book available today on Amazon: THE ULTIMATE GUIDE: IMPROVE HEALTH, INCREASE ENERGY AND FEEL AMAZING WITH REIKI HEALING written by Justin Kase. 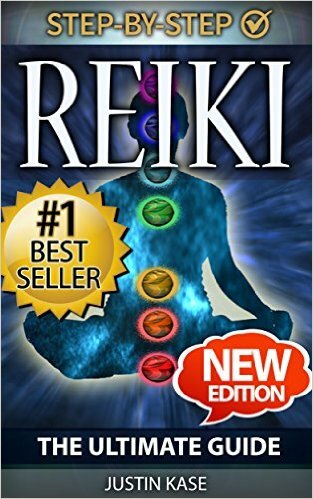 I would recommend this book to anyone who is curious about Reiki and who is ready to discover the exciting and deeply rewarding world of Reiki. This book is nicely written and is a useful resource for beginners. A wonderful and easy read! This entry was posted in Energy Healing, Freebies, Reiki and tagged Basics of Reiki, crystals, Free, Free Kindle Book, Healing, Health, Improve Health, Modern Reiki, Natural Healing, reiki, Reiki and the Chakras, Traditional Reiki, Vitality. Bookmark the permalink.